Dentists have many ways of treating discoloured or stained teeth. At Aura Dental in St John’s Wood we have a skilled team of dentists who will work closely with you to solve any issues you may have with the current shade of your teeth, creating you a bespoke treatment plan to ensure that you soon have your dazzling set of pearly whites back. Tooth staining and discolouration has a number of causes, so the first thing your St John’s Wood dentist will do is to establish what the root cause of your problem is. That way, they can devise an effective and long-term solution customised to suit your needs. Visible plaque is the largest single cause of tooth staining among UK adults, with a shocking 66% of us suffering from it. Dentists agree that this is bad news, because as well as lending an unwanted yellowish or brownish hue to your smile, it also leads to gum disease and tooth decay. If this is found to be the reason behind your staining, you will be referred to the hygienist at our St John’s Wood dental clinic. Both dentists and hygienists play a vital role in getting rid of dental plaque and making sure you stay healthy. Teeth whitening treatment is the most popular cosmetic dentistry procedure in the UK, and is an excellent way to remove everyday stains such as those caused by tea and coffee from the teeth. It’s vital to remember that, by law, only dentists can prescribe teeth whitening treatment – whitening from any other source may be unreliable, unsafe, or both. Our St John’s Wood dental centre offers professional teeth whitening treatment, but if your tooth stains are found to be permanent there is no need to panic: our skilled St John’s Wood dentists can also help in this scenario. Porcelain veneers are a good choice to improve the appearance of one or more permanently discoloured teeth – for example, those that have darkened after dental trauma. If visible metal fillings are making you frown, the dentists at our St John’s Wood clinic can safely remove these and replace them with tooth-coloured alternatives. This entry was posted in Teeth Whitening on 7th September, 2016 by Aura Dental. A dentist should always be consulted by anyone looking for teeth whitening treatment. 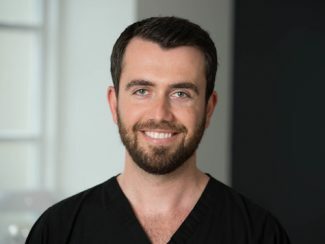 At Aura Dental in North London, our skilled team offer a number of tooth-whitening options, which can be carried out at home or here in the dental practice. Teeth whitening is one of the most popular treatments available from a cosmetic dentist. When done properly by a qualified dental professional, it is a safe, reliable and predictable way to boost the appearance of your smile, quickly and painlessly. When you think about it, it’s not hard to see why our teeth get stained by everyday activities. Drinks including red wine, coffee and tea, habits such as smoking, and some medicines, medicated mouthwashes and even medical conditions can cause staining of the teeth. Many people also find that as they age their teeth lose some of their natural sparkle. Teeth whitening treatments such as those available at our North London dental practice are designed to get rid of these everyday stains and leave you with a brighter, whiter smile. If you have been searching the internet for teeth whitening options, you are likely to have come across numerous products that claim to whiten teeth. Some beauty salons and high street shops also sell whitening products. However, these should be avoided. The whitening products available from your dentist have been extensively tested for both safety and efficiency. The chances are that other products, available from the internet or the high street, will not have been tested this rigorously, and will be of inferior quality. While this may simply mean they don’t work, unregulated products also have the potential to cause serious discomfort and even damage to your teeth and gums. Like any cosmetic dentistry, teeth whitening should also only be carried out on a healthy mouth. 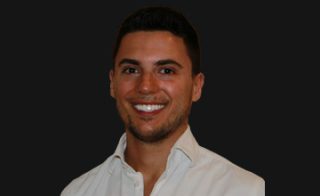 At Aura Dental in North London, we use several techniques, including laser whitening, Zoom teeth whitening, home whitening and internal bleaching for deeper stains. This entry was posted in Teeth Whitening on 4th March, 2016 by Aura Dental. Do You Need Internal Tooth Bleaching? Pearly white teeth are a confidence booster; you are more willing to smile and appear friendlier with a good set. Poor diet and improper dental care can lead to discolouration and may be a sign of a bigger problem, such as tooth decay. The decay and infection of a tooth will lead to its slowly changing colour as bacteria eat it from within. Your smile will transform from pearly white to a tinge of yellow, then completely yellow. The drastic change will affect the appearance of your smile; you might even have a tooth that is a different colour from the rest. You have a solution to yellowing or discolouring teeth – internal tooth bleaching. Teeth whitening is the generic term for aesthetically changing the appearance of your smile by removing stains. Many over-the-counter products promise to whiten teeth, but for users with a severe case of tooth decay, applying these is no longer an option. Regular whitening may no longer work if the tooth is too discoloured or yellowed. An option to consider is internal tooth bleaching; this method whitens a tooth from the inside out. The first step of the operation is a root canal to remove infected pulp. After removal, the dentist applies sodium perborate paste inside your tooth. This substance reacts to stains and dissolves them from within; making your tooth whiter. After the root canal, the dentist reseals it to prevent damage. We at Aura Dental provide you with first-rate internal bleaching for whiter teeth and other treatments to improve your smile. We understand the anxiousness one would feel whenever they visit a dentist; we allay these feelings by using a holistic approach to treatments. Our experience and use of advanced dental technology and techniques reduce the stress and anxiety our patients feel before and during a treatment. This entry was posted in Teeth Whitening on 25th November, 2015 by Aura Dental. 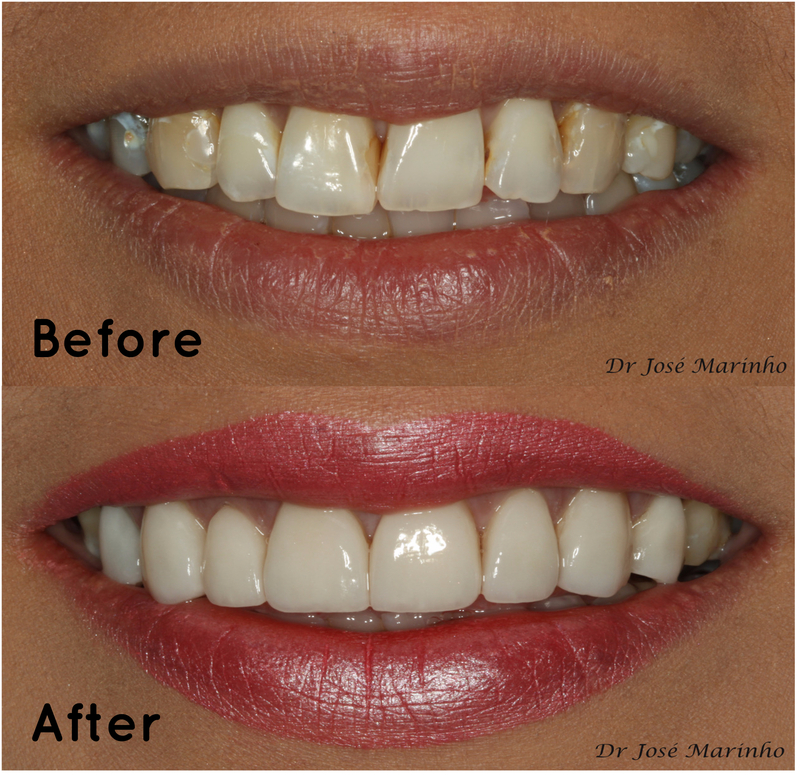 A sparkling set of pearly whites is what many people want, to feel and look attractive. While we can give you the solution to your needs, we want you to be aware of how you can prolong its results. After treatment, we recommend avoiding food and drinks that can stain your teeth within the next 48 hours. The teeth have microscopic channels ranging from the tooth pulp to the enamel’s outer surface. Normally, minerals block these channels to keep you away from tooth sensitivity. After teeth whitening, however, these minerals become so thin that oxygen can penetrate the teeth and make it vulnerable to stains. You need to wait for your saliva to block these microscopic channels again, so your teeth will not absorb any stain from food and drinks that have dark colour pigments. Avoid food like dark chocolate, blueberries and beets, and dishes with dark-coloured soups or those dipped or marinated in dark-coloured sauces. Go on a white diet instead. Fruits and vegetables may be healthy, but many of them can contribute to tooth discolouration. Avoid vegetables like carrots, spinach, beans and broccoli. The only exception is cauliflower. Some fruits are acceptable if you peel their skin, like apples, cucumbers and pears. Avoid coffee, red wine, soft drinks, tea and fruit juices like cranberry, grape, orange and tomato juice. Most of these are low in pH, which can increase the acidity of the saliva and damage areas of your teeth weakened by teeth whitening chemicals. Drink water and milk instead. Dairy products are high in calcium and their lactic acid content helps prevent tooth decay. If you cannot resist, you can minimise contact by using a straw. At AURA DENTAL, we want you to maximise the benefits of our teeth whitening services. Contact us or browse through our homepage for more information. We will be glad to assist you. This entry was posted in Teeth Whitening on 11th November, 2015 by Aura Dental.